Surveying a building with a laser distance meter can provide you with the most accurate measurments while it is also the fastest way to gather distance data. In order to get the best results pair up this function with a professional building survey system. OrthoGraph I is a professional building survey app, which is the best solution to make precise floor plans on your iOS or Android mobile device. When you extend the app with a compatible laser distance meter the workflow will be faster than ever. The result of your measurement will be shown immediately on the LCD screen of the laser distance meter, and it can be transferred to OrthoGraph I with just a click. What's more your floor plan will update immediately with the measured data on-site. 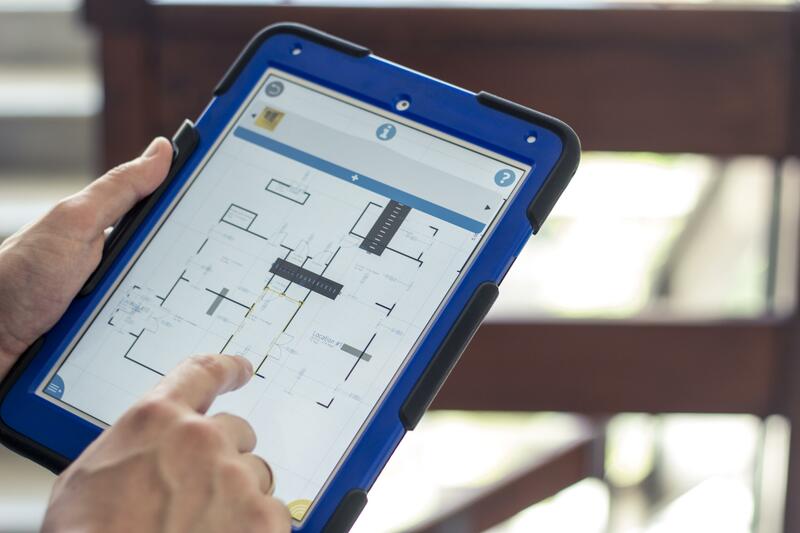 OrthoGraph Survey System - running on iOS and Android mobile devices - utilizes all of the benefits of the multi-touch iPad screen. After drawing the floor plan on your mobile device you can make measurements with your compatible laser distance meter. OrthoGraph I is compatible with Leica Disto E7100i (D110), D810 touch, D510 (7500i), S910 , D1, D2 and Bosch GLM 50C, Bosch GLM 100C and Stabila LD 520 and LD 250BT laser distance meters. After doing all measurements on walls and doors / windows, you can furnish your floor plan with accurately measured furnitures too. As results make 3D walkthrough, on-site report, CAD or Excel output. The floorplan app handles several BIM properties which can be exported to IFC and DXF files in addition to the drawing, and can then be used in several CAD and BIM software like Revit, ArchiCAD, AutoCAD or Vectorworks. Use the leading building survey software OrthoGraphto save time and resources, and amaze your clients.